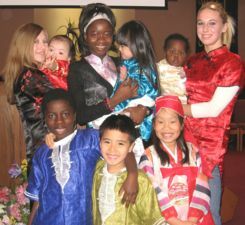 When we began our international adoption journey in March 2007, we never could have imagined the incredible blessings that the Lord had in store for our family. After committing to adopt our son Joshua from Uzbekistan, we began to feel the familiar nudge of the spirit that someone was still missing. From the first moment I laid eyes on our sweet Evan, I knew that he was the little boy that my heart had been searching for and that he was meant to be our son. 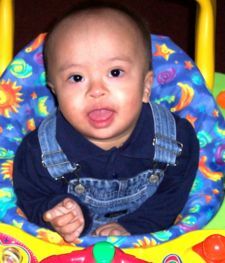 We committed to adopt Evan in July 2007. 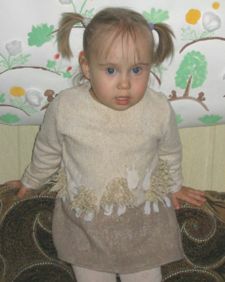 In November 2007, we traveled to Ukraine to complete his adoption and in December 2007 we welcomed him home to his forever family! 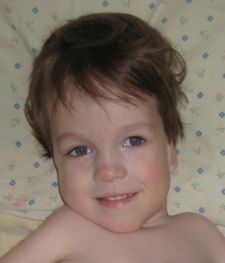 Our lives have been forever changed because of the gift of this beautiful, smart, sweet, funny, determined little boy! 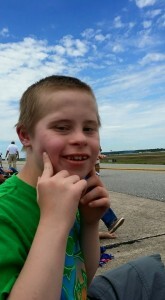 Evan has adjusted remarkably well to our family and we cannot imagine living life without him. 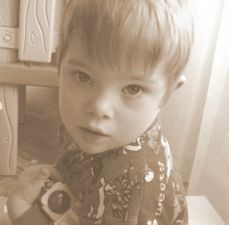 He is thriving with the love of a family and with the medical intervention that he so desperately needed, but never would’ve received in Ukraine. His 1000-watt smile lights every corner of our lives and we thank our Heavenly Father each and every day for his beautiful and perfect plan that allowed us to make Evan a part of our hearts and our home. Our Kara is a remarkable little girl, so smart, funny, and such a daredevil we have to watch her like hawks! She has had to adjust to so many new things in such a short time, and we think she has done remarkably well. We are in awe of her coping capabilities and love her sweet spirit. Her giggles and smiles brighten our days! She is our Ukrainian princess! Meghan and she are learning to play together, there are still bumps in that road, but like sisters, they will work it out. Meghan is a little jealous of Mom and Dad hugging another daughter, she has to be part of the hug and a group hug ensues. As we sit back and think about the last year and a half, we sometimes think about the obstacles we had to overcome and the heartbreaks we experienced; but what we remember most are the friends who donated their time and their money to help us get Kara home. We could not have completed our adoption without them. We thank Reece?s Rainbow, the members who supported us; and Andrea for going above and beyond for us. 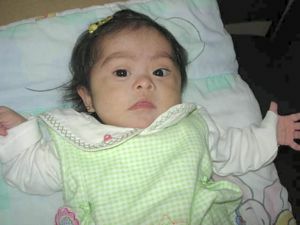 We are grateful to our agency About a Child who performed a miracle in getting our referral for Kara in one day. While our adoption journey was more of a crooked trail than a straight line, in the end we brought home our beautiful Kara. We are so happy she is the child God chose for us. It’s been a long time in coming, but our baby has arrived! He’s not as much of a baby any more, he was 3mos old when we started and is 22mos old now, but he’s still our baby. 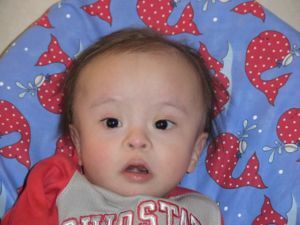 He’s small for his age and even for a child with Down Syndrome, but he has come along remarkably well within the last four months since he was put into a different foster home. He has blossomed with the love of his foster family and we have even seen great improvement in the two weeks since we first got him and the one week we’ve been home. 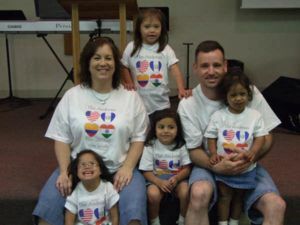 Our trip to Guatemala was uneventful (thankfully) and we are now back with our family. Jonathan has been surrounded with love and affection. He sleeps well, eats well and is a very happy content child. We are blessed beyond words! 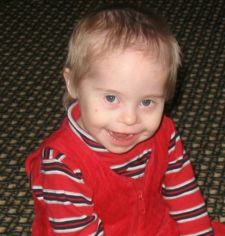 His older brothers and sister think he is the most wonderful baby ever. 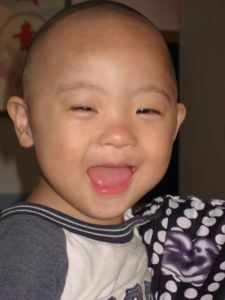 We are looking forward to adding Anh (Anah) to our family within a few months. She is on the RR site, she is 10 and is in Vietnam. I pray for all the children who get adopted, but mostly for all who don’t. 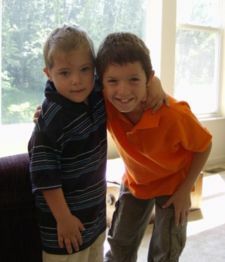 I would just like to say to any who are considering adopting a child/children with DS, walk out in faith, the Lord will provide if it is He who sends you forth. Paige is home and doing wonderfully. She has adjusted so well and we just cannot imagine what life was like before she came home. Other than the “waiting”…we don’t miss that part one bit. LOL But, it was so worth it! She has mastered using a sippy cup. Whew….that took about a month, but then she got it. She is trying to feed herself now and walking with assistance. She is finally gaining some more weight so the doc is pleased. She will always be a tiny little thing. She is signing several words and even tried to say a few. She just needs to muster up that confidence and she could do it. One of my favorite times of the day is just after you put her to bed. She does one of two things…begins to sing and “coo” herself to sleep, or chats with her sister, Sophie, in the crib next to hers. They are so sweet together. And Joy just loves being the big sister to both of them. They are definitely “3 peas in a pod!”…with Joy as the BOSS. Or so she thinks. Paige is pretty spunky and now that she feels she has grounds (been here long enough) she tells Joy like it is. She loves Barney and any music. 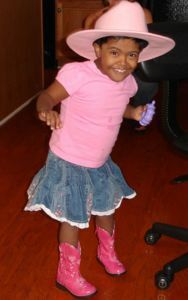 She can dance a “jig” with the best of them. She is STILL a daddy’s girl, but sure does love to snuggle with Mommy…..which mommy eats right up. 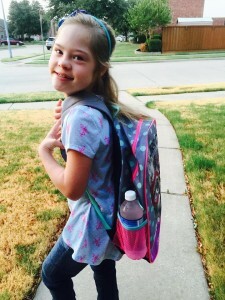 The older kids have just fallen in love with her sweet nature and spunky spirit. She is truly a blessing and we just cannot thank God enough for sending her to us. Those were the words of advice from our dear friend Florence. She should know. 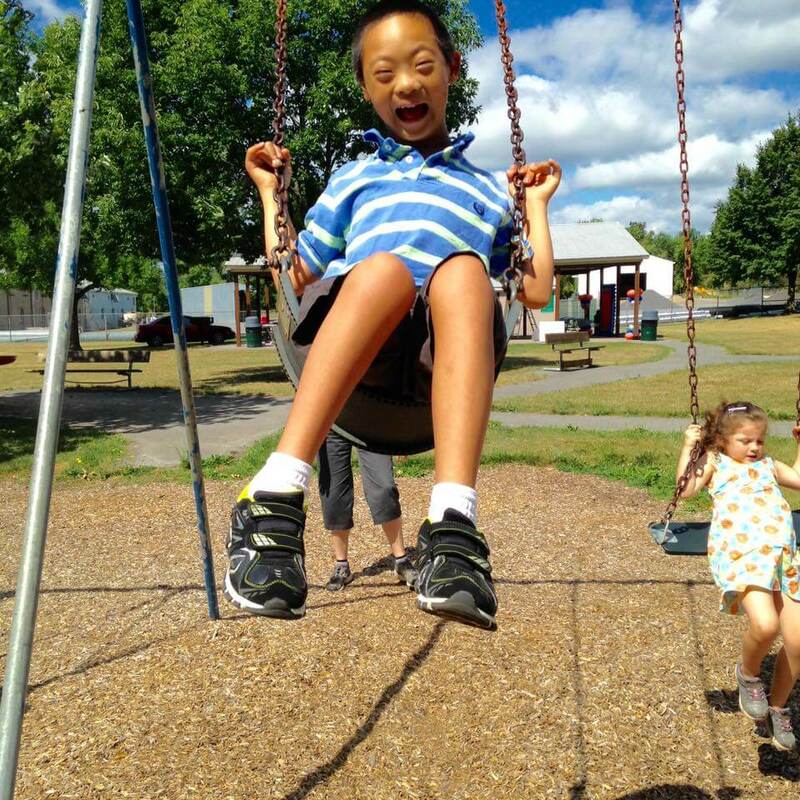 She adopted her son Josh after his birth mother placed him for adoption when he was diagnosed with Down syndrome shortly after birth. 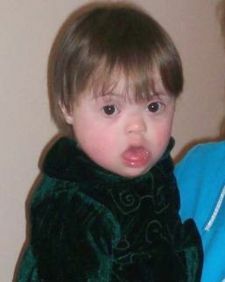 Florence’s biological son, James who also has Down syndrome was only a year old at the time. Today, Josh and James at the ages of 26 and 27 are as close as brothers can be. They are now living on their own together. They look out for each other and maintain a very busy social calendar, together. After finding Reece’s Rainbow and our beautiful Kristina, we decided that we wanted to do for our Alaina what Florence did for James….to give her a sister to grow up with and a life long friend. We watched that friendship start to bloom within 24 hours of bringing Kristina home from Ukraine. Now after 2 months, they are the best of friends. They love each other and do not like to be separated. 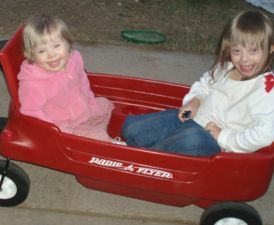 We know that together, Alaina and Kristina will let others see how much potential people with Down syndrome have and how their abilities far out weigh their disabilities. They will educate thei.r world just as much as they will learn from it. 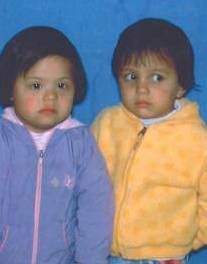 We are blessed to have been given the opportunity to parent these 2 beautiful children. Because of Reece’s Rainbow we found an adorable little girl that was in need of a forever family and we were a forever family in need of an adorable little girl! What a perfect match! After staring at her picture for several months it still amazes us all that she is really here enhancing our lives and passing out hugs and kisses. It took Macey about 5 days to adapt to our family, she and Carley are best friends and love each other very much! Our lives have now been changed dramatically, and who knew that quiet little girl we met in Ukraine would turn into such a sweet, happy, energetic, intelligent, mommy?s girl! We definitely caught the attention of the courts, caretakers and all involved knowing that we traveled over 5,000 miles for this special little girl. 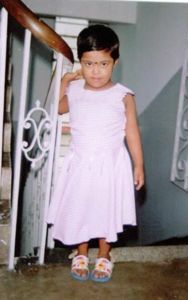 We stood there adamantly stating that this was the little girl we wanted in our family, how she would be an asset to society and live a fulfilling life! 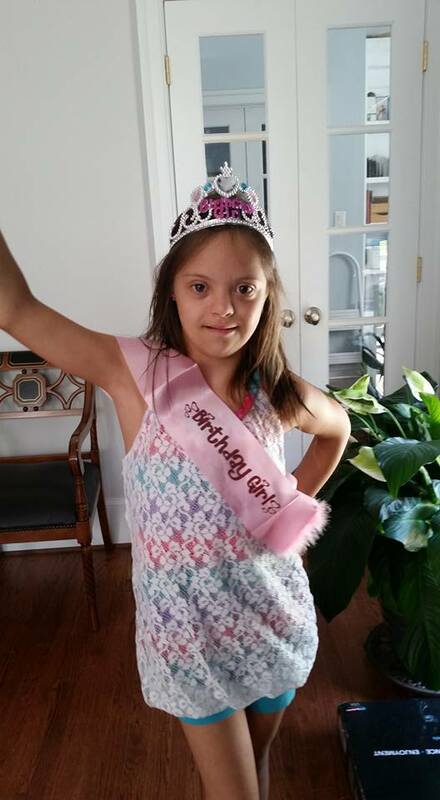 We told them she would be cherished and loved forever by our family, friends and community. We pray that our adoption and presence in Ukraine opened some doors and minds. WE ARE FOREVER GRATEFUL TO RR, OUR FAMILY AND FRIENDS FOR MAKING OUR DREAMS COME TRUE! Katya is such a joy! 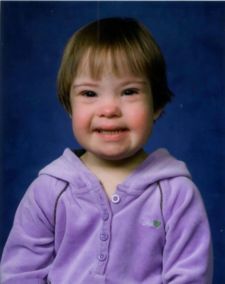 While we didn?t start out wanting to adopt a child with Down Syndrome it has been one of the biggest blessings of our lives. We worked for two years to bring a child home to our family. God knew all along which little one would be ours. Katya has fit right into our family. 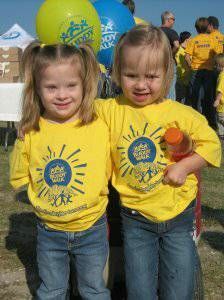 I think not knowing anything about Down Syndrome has actually been a plus for us. We didn?t have any idea of what she was capable of so we just expect her to be a little girl. And that is what she is. It’s hard to believe we have had Masha home with us for three months already. In some ways it seems like she’s been here forever while in other ways it seems like just yesterday we were anticipating her arrival. Luckily, Masha has transitioned into our lives very easily. Our friends and family even think she looks like us (it must be the short haircuts). 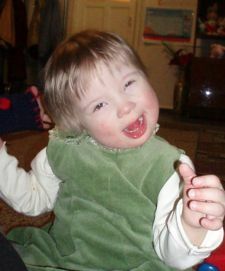 Masha is a joyful little girl who takes pleasure in every new thing she does. As we celebrated her fourth birthday, we quickly realized that she loves to be the center of attention-which may cause some problems as our other four year old thinks she is the queen. 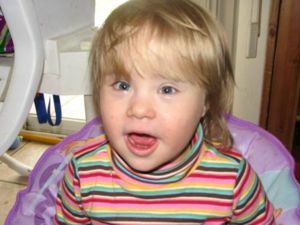 Anyway, we are so grateful that we were sent a link to Reece’s Rainbow in June of 2006. Who would have thought one e-mail would bring such a delightful dolly girl into our world? Mousumi did wonderful on the 30+ hours of airports and flights!!! She is getting along great with Natalie and Wesley and eating and sleeping well! It’s like she’s always been here! Thank you again everyone for all your support and prayers! Thank you Andrea for helping us find our little girl, We love her so much!!! The adoption of our sixth child, Tatiana Alexandra Premont, was a whirlwind event in many ways. 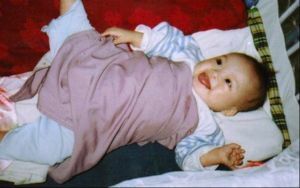 From the day I was “called” to adoption to our court date was about 40 weeks- the length of a typical pregnancy! In so many ways, that was exactly what it felt like too. I never doubted God had a plan with a child intended for us; a baby meant just for our family. Our adoption journey was not without hardships. At times it even felt like the world was against us! So we prayed for aid and wisdom. Friends and family answered our prayers in many ways: financial, emotional and spiritual. We gratefully acknowledge the support of the many individuals who made it their personal goal to rescue Tatiana. She undoubtedly has a very special purpose. In the short time she has been home she has touched many with her sweet smile and contagious laughter. She is a true joy; beautiful, loving, and intelligent. We are forever blessed. 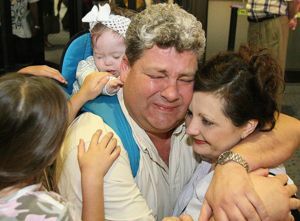 Our family photo above, as we arrived back to the airport in Texas, sums it all up….the elation, the relief, the pride, and the overwhelming joy of knowing we had just saved this little girl’s life. Her future was worth every penny and every aggravation we faced. “Our cup runneth over”…. Although we do not have a way to contact Ofelia’s family, as she was placed directly through her agency, the agency has told us that she IS home now.